Supports the immune, digestive and circulatory systems. Enzymes that break down proteins are especially critical to good health because undigested and foreign proteins can impact your overall health. 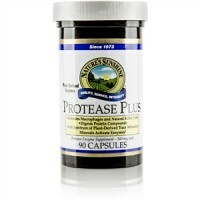 Protease is an important enzyme that helps digest proteins. 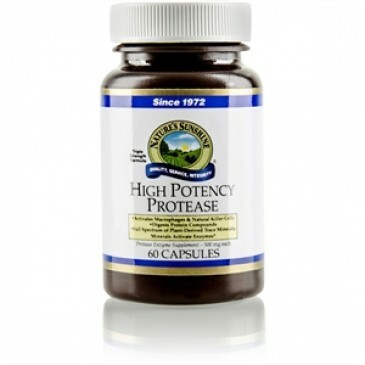 Taken with meals, High-Potency Protease helps digest high-protein foods. Taken between meals, it acts systemically to break down foreign proteins associated with mucus production and arterial health. High-Potency Protease also supports immunity by activating the body's immune defenses. It delivers 180,000 HUT protease with a full spectrum of plant-derived trace minerals. 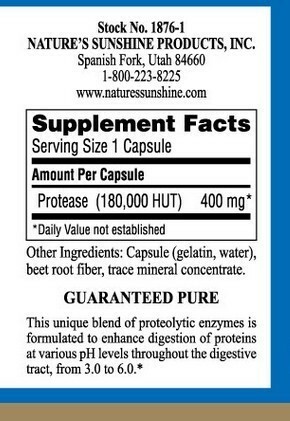 Enjoy the same benefits of three Protease Plus capsules in one capsule of High-Potency Protease. Take 1 capsule up to three times daily with or between meals.